The Heavy Duty Mobile PC Workstation has a durable polypropylene base. Easily adjust the height with the gas spring lift for use in the seated or standing position. Top shelf will accommodate up to a 30'' monitor. 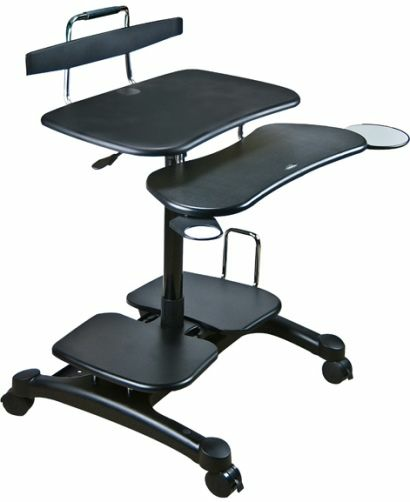 This mobile computer workstation is ideal for schools, hospitals, surgical centers, libraries, churches, banks, home and office.